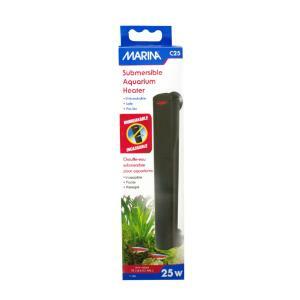 "The Marina C25 is a 25 watt compact, submersible heater for use in indoor aquariums. It is designed to reach and maintain the pre-set temperature of 26 °C (78 °F), without having to make any adjustments. 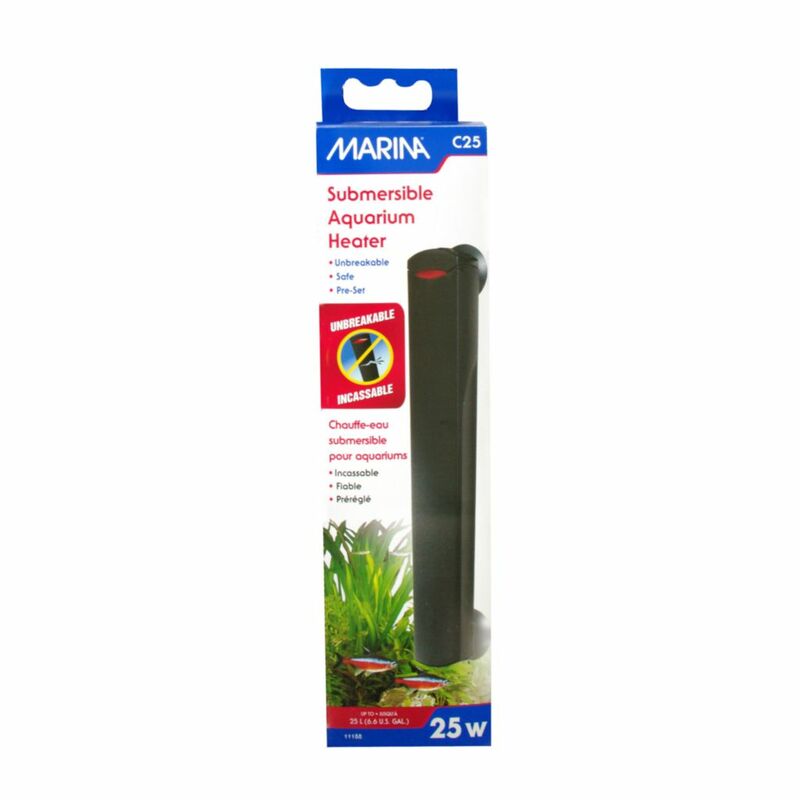 The heater is suitable for fresh and saltwater aquariums up to 25 liters (6.6 U.S. gallons). Its sleek and compact design makes it ideal for use in Nano aquariums. It comes complete with 2 suction cups for easy and secure installation.